Hansen pressures textbook publisher | Watts Up With That? Recently we saw how an environmental activist managed to convince a BBC writer that the story he wrote had to be changed to reflect what the activist perceived to be the “correct” view. Now we find that Dr. James Hansen, director of GISS, has done the same, and on NASA stationery no less. Read the entire letter here courtesy of the “Friends of the Earth” website. Because Hansen wrote on NASA stationery, it becomes a public document, which we can view here. For that reason, I’ve posted a backup copy here, just in case the original disappears or changes. See hansen_letter. Apparently, there is no room for debate in the classroom on these issues. Apparently also there is no uncertainty. Hansen also makes a mention of “so called activist scientists”. I think he proved the point about activist scientists quite well with this letter. What is most curious, is that in letters Hansen has written in the past, such as to the Prime Minister of Australia, he uses his home address in Kintersville on plain paper, and in his reply to a coal company executive on Columbia University stationery, but puts his NASA title on it. This makes me wonder how he chooses which stationery to write what letter on, and how to sign it. April 11, 2008 in Uncategorized. But the textbook is for “Advanced High School students.” That in itself should warrant a satisfactory explanation for his concern. Err… I don’t recall reading anything like that in the IPCC reports. hansen and his messiah complex are really, really getting annoying. Why is this sort of activity no surprise ? In Dr Hansen’s view he is correct because documents either written by him or his close colleagues or that have used source material supplied by him and his close colleagues agree with him. I’m shocked that a text book would take a balanced look at the issue of how greenhouse gases affect climate. Maybe we should write letters to the company supporting the text as is. 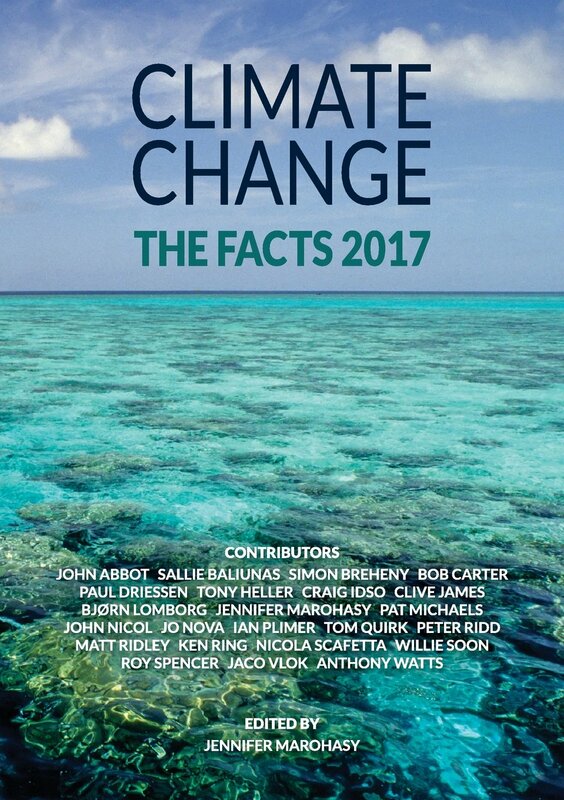 The book apparently takes the counterpoints of the official position, even seems to characterize those who say that there is a warming as activists. And yes, there is an official position, it has been stated by the IPCC (at the UN level), but also by the national academies of sciences of many countries (at the national level), the American geophysical Union (at the scientists organizations level) etc …None of these official statements support the excerpts of the book produced by Hansen. Now of course that does not mean that you’re not entitled to take another position than the official one. But if you do so, you can expect an official reaction (official letter) by officials (Hansen is direction of GISS, member of the national academy of science, etc …). I don’t think there is anything irregular here. The only uncertainty is what is really the content in the book and are the excerpt really representative or his Hansen over sensitive. I see an asymptotic approach to a bifurcation or tipping point by the end of this decade in the graph of Hansen quotes versus time. As far as I know, there’s no law forbidding the NASA GISS Director from writing to a textbook publisher expressing his opinion. It’s his right to do so. 5. and that this debate take place at a public high school in front of a 1000 or more students. If Hansen is so sure of his science, then he should have no problems accepting the challenge to debate. Only a coward would run from such a challenge. Ah, there really is an expodential growth function in climate science. Well, if anyone knows about “censorship” and “stifling”, he does. I guess Hansen figures that what’s sauce for the proper goose is sauce for the propaganda. Oh dear. Those offending books will need to be burned lest they get into the wrong hands. Your post is once again important and timely. As a former teacher, it gripes me to see these attempts to shift the language of scientific uncertainty in secondary classrooms toward the more emotionally charged, politically correct language of activism. As for Hansen’s capitalization on his position to be more visible, what can you say? He’s got his big, gorilla mits on everybody’s usufruct. I realized there seems to be a major correlation between news stories and GISS temps and the slope between the two is not just coincidental. Therefore there is a 90% consensus that James Hansen in the news directly causes Global Warming. Please could somebody do a statistical evaluation? Wow, what a statement! What’s this mean? That all of the science supporting GW is accepted and beyond reproach? That they ignore the unaccepted science? That GW is now a science rather than a theory? Something else? Seem like the letter’s author has repeatedly attempted to cast doubt on the struggle for a true understanding of climate. Physician, heal thyself. Thanks so much for exposing this nonsense. I have written to NASA Administrator Griffin and to my two senators requesting that Mr. Hansen be stopped from using his official position for this kind of political advocacy. Hansen is disgrace to science and an embarrassment to his employer. We all know how successful the last attempt to try and get him to temper his personal opinions was. He not only abused his position, but got George Soros’ goons to threaten legal action. NASA needs to fire this guy. If the next admistration wants to hire him back, that’ll be their call, but Hansen is clearly out of control. I agree. In the meantime Anthony, I’m taking the liberty on forwarding the letter accessed through this blog, to the FNC’s Brit Hume, the Heartland Institute’s Joe Bast, Fred Singer, and a few others I know. But before I do, are we certain this isn’t a hoax? It’s beyond the pale that two of these “faux pas” should turn up in two days! REPLY: As Stan Needham pointed out in his comment, it is referred to in this newspaper article in his hometown paper. So it appears real enough. Expressing one’s opinion is guaranteed by the US Constitution. But using the office of a public agency in such a manner as to infer clout and retaliation is not. His second to last and last paragraphs carry the heavy hand of government intimidation! Dell, you just made my day. I read your comment and nearly fell out of my chair laughing. On a side note, you probably ruined my roommate’s day, as I laughed so hard I am sure that is what woke him up. The events leading up to this story made our local paper as an AP article a couple days ago. WASHINGTON – Talk about a civics lesson: A high school senior has raised questions about political bias in a popular textbook on U.S. government, and legal scholars and top scientists say the teen’s criticism is well-founded. They say “American Government” by conservatives James Wilson and John Dilulio presents a skewed view of topics from global warming to separation of church and state. The publisher now says it will review the book, as will the College Board, which oversees college-level Advanced Placement courses. I’m with ‘Gal’ on this one. We need to know if the book really is quite so strongly sceptical as Hansen suggests in the letter. If it is, then given the ‘official’ position it would be quite unusual for him not to complain. The fact that many here don’t believe in that official position doesn’t mean he’s abusing his position in doing so. Good enough for me! I also sent it to Morano. I think Paddy said it best. Shoutdowns, however couched in flowery rhetoric and printed on official NASA letterhead are indicative of the pressure Hansen et. al. 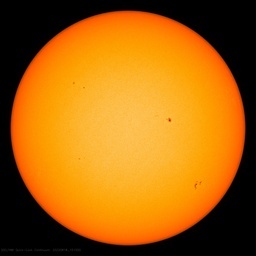 are beginning to feel from a growing number of real and unconvinced scientists and laymen. As Anthony noted, the persistence is paying off. I have sent formal complaints to both NASA and my US Senators about Hansen using the trappings of his office to push his alarmist agenda and his attempt to silence the voices of the many that disagree with him. I agree that he’s coming across as being increasingly shrill. That’s typically a sign of being under pressure. Your glasses must be far more powerful than mine, as I only see someone writing his opinion. Threats? Where? We ought not allow ourselves to enter the gutter of leftwing intolerance and name-calling. Let’s keep it about science. The guy has an opinion – let him write it. In fact he’s only doing us a favour by exposing himself and his AGENDA. Quite frankly, I’m a little astonsihed that the NASA GISS Director would waste his valuable time writing a complaint to a book publisher. That’s weird. Like he’s got nothing better to do. I hope this wasn’t some sort of a set up. Jeff, for those old enough to remember the great John Wooden-led UCLA teams of the 60’s and 70’s, Coach Wooden instilled in his players a killer instinct, a never-let-up (and never quit) attitude that won them (IIRC) 7 NCAA Championships in a row and 9 in an 11 year period. That is the kind of attitude we need to develop. They could be ahead by 40 points and the first thought when Alcindor or Walton came down with the rebound was FAST BREAK! Of course his expression of an opinion is guaranteed by the US Constitution. However, as an employee he does not have a right to ignore and not follow the rules of his employment as set by his employer. Generally, and more likely always, public pronouncements in the guise of official policy of an employer must be approved before release. And actually, use of government property, such as letterhead papers, for personal use is viewed as a very unwise thing to do. Hansen should be fired for gross misconduct. But of course that won’t happen because Bush is too scared of being seen as being a big bad big boss. This ploy by Hansen reeks of censorship — submit, conform, obey! He is free, of course, to speak as a private citizen; however, this is not the appropriate action of a government official, addressing a private entity on government letterhead, warning of consequences faced by failure to change the message. There are no explicit, direct warnings; just the sledgehammer of a government official issuing a warning. and two people have already weigh in with 1 star reviews to offset the only other review from a student (5 stars). I had hoped to fine the text at issue, but Amazon doesn’t have it. 10th edition from 2005. James Wilson is at Pepperdine, i don’t see an Email address. I should be working, so that’s enough digging for now. Do you think the textbook really repeats itself that closely three pages later? It’s kind of pathetic, but alarmists look at Hansen like some “groupy” would look at a “rockstar.” They just numbingly nod their heads to whatever crap this guy comes up with. He is no doubt a “rockstar” for the AGW audience. He has been wrong on more than one occasion. I have a hard time believing that 350ppm is the maximum safe limit for CO2. Since 1750, man has contributed approximately 0.0087% CO2. This has NO negative effects on HUMANS, therefore has NO negative effects on the rest of our BIOSPHERE. So don’t worry, the fish will not go deaf, the frogs will not die off, and the polar bears wil not commit suicide due to trace amounts of CO2. dotearth.blogs.nytimes.com covered this yesterday. Well, not so much ‘covered’ as put it out there. Lots of comments. The kid’s father is so proud of him ::gag:: and shows up in the comments. But that is absolutely true, even by IPCC’s standards. The estimated sensitivity to doubling of CO2 is tought to lie between 1.5 and 4.5 degC. 1.5 would not be dangerous, 4.5 would. So, they don’t know. But that is absolutely true, even by IPCC’s standards. I didn’t know IPCC had standards. When you teach Science, you do the students a great disservicce if you don’t shows them the nature of scientific debate. Good Science is tentative. You don’t make strong claims until evidence emerges. When new evidence emerges, paradigms change. I think even middle school students are mature enough to understand that. I guess I don’t get the problem here. The textbook here is merely repeating the GW deniers claims, and someone from the other side wants to correct them, it’s wrong, wrong, wrong? When he does, everyone wants to silence Hansen and then claim that Hansen is practicing censorship? If the textbooks had written that germ theory is just a theory – in line with the Christian Scientist’s beliefs – should scientists be allowed to criticize those textbooks, and suggest that they rewrite the be rewritten in line with the scientific consensus, would you claim that it would somehow be tantamount to censorship? Anyway, the way those textbooks were written sounds absurdly biased. I’m not going to go as far as saying they MUST be wrong, but they should bring things in line with scientific consensus – rather than reflecting the ideological views of the authors. The very question of what gets into textbooks is very political (I suggest you look at the kinds of battles that get fought over evolution). Yet, apparently, “politics” is bad when it involves someone suggesting textbooks should say GW is real, but the politics of how those biased statements got their in the first place is completely ignored. I’m sure the oil companies would love to get this kind of language into textbooks. Heck, they already offered money to anyone who would dispute reports on GW. Are their opinions to be trusted over everyone else? Apparently so. Sorry, but so much about your reporting of this story is wrong. You keep ramping up the language – like saying that Hansen’s suggestion amounts to “pressuring the textbook publisher” – so that you can cast him as the bad guy. If Hansen would just tone it back, he could end up with history treating him like Lamark, a bit ridiculed as have missed the Natural Selection boat, but when examined in detail was a dedicated and noble scientist, and eventually very ironic for Hansen’s B#%#. However, Hansen, unfortunately for him and the starving poor of the world, is headed in a distinctly Lysenko’ish direction. In a more competent world, James Hansen would be a vacuum cleaner salesman. In the present postmodernist world where rationality is frowned upon by university faculty and staff, James Hansen is necessarily a superstar. I think James is the one he’s been waiting for. This isn’t just reprehensible – It’s getting downright dangerous! I first got interested in the whole AGW farce when Hansen et al claimed that the ‘debate was over’ – anyone who knows scientific method knows that this statement is unscientific to its very core….Since then, as the actual data becomes increasingly at odds with IPCC “models”, the cries of the AGW ‘consensus’ have become increasingly shrill…..
Now, finally, I fear we’re becoming engaged in a far bigger battle against what I can only describe as Orwellian style censorship. This week we learn that Hansen has been changing the GISS temperature record to suit his version of events. Also we see the BBC, once World reknowned for its impartiality, censoring its own reports in response to a threat from an AGW proponent. The AGW movement has coalesced into a potential challenge to the values upon which democracy is based……and must be tackled with this in mind. Sorry to sound so melodramatic, but the censorship issues which have been revealed this week have really raised my hackles. I fear that now there is more at stake in this debate than the science of Climate change. Why did temps rise from 1980-1998? For the same reason they rose from 1920-1940: PDO/AMO ocean current cycles. Add in some exaggeration of the last heating trend due to spurious warm bias as a result of gross surface station microsite violation since 1980. That correlates with temp. mesurements FAR better than CO2 increase. Therfore, it is not the texbook that is wrong, but the soon-not-to-be-consensus CO2 positive feedback theory which is wrong. That’s the layman’s translation without the equations. If you have arguments that dispute this I would be glad to hear them. But the AquaSat is the key, and it only takes the data of one satellite to shoot a consensus all to hell. You folks are granting an assumption of innocence, competence and honor that we have repeated reason and evidence to question and doubt. Spend some time at CA on GISSTemp threads! John Warden, deadwood, et. al., are the ‘enlightened’ here. Would you kindly provide me with a link that shows the AMO is at its peak? I could search one out myself, but hope you have something at your fingertips. How would feel about a PUBLIC debate between Hansen and Lindzen. I say let’s not censor one side or the other. Let the public hear both sides. You can go to the Goddard Space Flight Center and on the “contact us” section, e-mail a complaint to the center and query whether Hansen has exceeded his terms and conditions of employment. This has the best graph I’ve found. It indicates that AMO is at its peak, but still has some time to go at current levels. I read something recently I can’t find now which said a downteurn is expected in c. 5 years (which would make the current cycle a little short, acc. to the graph. Looking at that PDO, I’d say you’re right! We’re in for a little cool weather indeed. And just when you thought it was safe to go back in the water, we have MORE NITWITTERY. To paraphrase a line from a famous poem: I didn’t think that I would ever see a human being more stupid than a tree, but I think I just have. Your comments are not well taken. The question is not whether there is room for debate, but whether this text accurately presents the state of that debate. It does not. The text is one-sided and dismissive of the majority view. It would be peculiar to have a detailed discussion of science in a government textbook, and in fact that is not what the text presents. Your argument that Hansen is attempting to stifle a scientific debate is off the mark because that is not the debate the text engages. 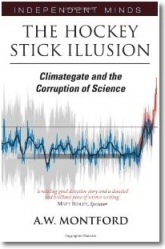 “I first got interested in the whole AGW farce when Hansen et al claimed that the ‘debate was over’ – anyone who knows scientific method knows that this statement is unscientific to its very core”. Exactly the same for me, except the statement was from Tim Flannery (who went on to advocate climate engineering, so we could control the atmospere and dial up any climate we want). You don’t need to know much about “climate science” to know that this cannot possibly be true. So why not put up your best theory and enjoy the victory over your critics, as is normally the case in scientific circles? Obviously because you don’t think you’ll win. While the form of your prose is sound, its import is both tendentious and mendacious. Hansen dismisses those of his critics that are politically insensitive, e.g., Steve McIntyre on the Y2K flub, with a wave of the hand, as “Jesters”. Yet, when politically vulnerable he is quick to raise a controversy and bring pressure to bear. When the head of NASA at a bureau conference suggested that the science re: AGW was uncertain, Hansen immediately went to press with “I nearly fell out of my chair!”. His superior was promptly and suitably chastened. Where Hansen feels politically at risk, he levels the charge of censorship, ludicrous in light of the chart on evidence. Men fear most that evil which lives in their own heart. “Recently, Dr. James Hansen, PhD, wrote a letter to the Houghton Mifflin Company, in an attempt to pressure them to change wording in a textbook. While I appreciate Dr. Hansen’s right to express his opinion as a private citizen, I am concerned by his use of official NASA stationery in this effort. First, it implies that it is official NASA policy that Anthropogenic Global Warming is occurring, and the fact is beyond debate. Is that truly the position of NASA? Second, I am troubled by a PUBLIC official using his capacity as a representative of the government to pressure a PRIVATE company to change its product to suit his view as a government representative. I personally find that very troubling. Please advise me if I am wrong on either of these thoughts. I have written a letter to my congressman asking him to investigate the propriety of Dr. Hansen’s letter, and look forward to a response from him and NASA regarding this important issue. Here is a link to Dr. Hansen’s letter. Everything Hansen said is true. Don’t blame him if you don’t understand the science, the man knows what he’s talking about and is fighting the worst humanitarian crisis ever. We should be glad that at least he is willing to take the limelight while oil companies spend millions to keep it off this subject. We are catapulting into disaster and God Bless Dr. Hansen for being the voice of truth. I dare any of you to try and debate his science, because he is the best climatologist in the country. And if you dare mention Dr. Lindzen of MIT, I’ll tell you that he couldn’t even stand up in a debate against a high school math teacher. His only power lies in being at MIT and willing to take dirty money. Laugh it up, but we ARE in code red. 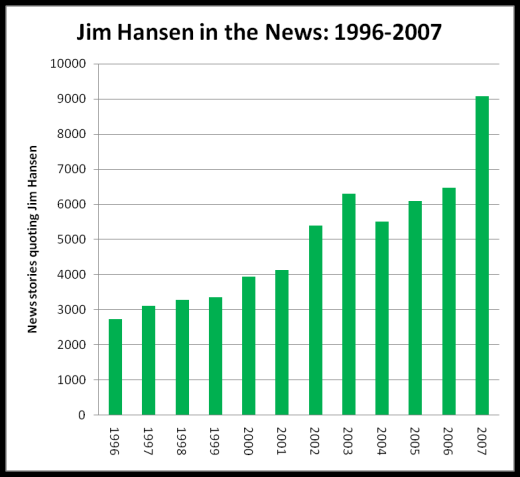 I see a direct correlation between Jim Hansen in New Stories and CO2. I think Jim Hansen is causing the CO2. Are you people [snip] kidding me? Global warming skepticism is pseudo-science. The planet is definitely warming. The effects of greenhouse gases are well-known and very easy to understand. Human actions are directly and indirectly pumping unprecedented amounts of greenhouse gases into our atmosphere. Put 2 and 2 together people, stop being morons. Skepticism is healthy, but it can also be rooted in absolute ignorance. For instance- creationist skepticism of evolution, geocentrist skepticism of heliocentrism. But seeing so many sheep tout global warming skepticism as revolutionary dissent has proven to me that even to this day, the government and/or corporate entities can very effectively manipulate the public into such logical flops. The coal companies LOVE global warming skepticism, the Bush administration LOVES it too. Just be careful not to LOVE big brother without even realizing it. REPLY: Warning, no f-words allowed here, it is neither relevant nor neccessary. Rants are allowed, but need to be on topic, Please don’t do it again. Lest anyone think Hansen is some sort of aberration I can assure you that he is not. I teach part time in a community college here in California and I’ve seen the same attitude first-hand from some of the faculty. It’s believe what I say and do what I say or else. No dissent permitted. Special interest groups pressuring publishers to rewrite texts, are nothing new. Unfortunately, both history and science are heavily edited.